We’d love your help. 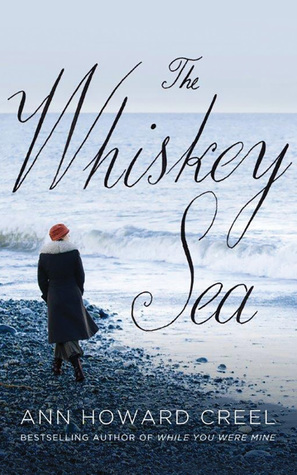 Let us know what’s wrong with this preview of The Whiskey Sea by Ann Howard Creel. Running rum during Prohibition, she’ll risk her life—and her heart. Motherless and destitute, Frieda Hope is determined to make a better life for herself and her sister, Bea. The girls are taken in by a kindly fisherman named Silver, and Frieda begins to feel at home on the water. When Silver sells his fishing boat to WWI veteran Sam Hicks, thinking Sam would be a fine husb Running rum during Prohibition, she’ll risk her life—and her heart. Frieda quickly discovers that a mechanic’s wages won’t support Bea and Silver, and is lured into a money-making team of rumrunners supplying alcohol to New York City speakeasies. Speeding into dangerous waters to transport illegal liquor, Frieda gets swept up in the lucrative, risky work—and swept off her feet by a handsome Ivy Leaguer who’s in it just for fun. To ask other readers questions about The Whiskey Sea, please sign up. I have no affinity for this heroine, I'm having trouble understanding her motivation.Any one finish this one? Kate Turner Never clear. I think the author leaves that up to the reader. I could see a sequal to this book. This was one of those books I did not expect to enjoy nearly as much as I actually *did*--always a very cool thing! This novel drew me in from the beginning, and hooked me like a fish (albeit a happily willing one) caught in a net until the end. The audio version was narrated and produced in great fashion, which added a significantly higher rating from me personally. However, I do think I would have probably highly enjoyed the print version if I had been able to read it that way instead. I do not This was one of those books I did not expect to enjoy nearly as much as I actually *did*--always a very cool thing! I do not want to give away too much of the plot here...I picked this one up mainly because of its availability on KindleUnlimited as free with narration (after sampling the audio & reading the book blurb). We meet Frida when she loses her mother, the town whore who serviced sailors. She and her sister get taken in by a guy who had mercy on them. He's not the father of either of girls, but he gives up his only bed, moving to the settee in the living room for the next fourteen years, gives up all his scarce funds to give them a home and an education. Is Frida grateful that this stranger dedicated his life to taking care of and making the sisters comfortable? Of course not. She's mad that he hasn't gifted his boat to her, and feels insulted he wants to have a say in her future. and says she wants to work at the docks. In 1920s. She wants to do physical labor, dangerous and harmful for her health, and be alone among dozens of sailors who have previously fucked her mother for money, because she wants to be unusual. Genious! And she's mad at her family for trying to talk her out of it. Does she stop there? No, she starts breaking law, too. Yep, we get reminded time and time again that she is so unusual, so special, everyone notices her, all men want her, etc etc. But she's not like other girls. She wants no man, she wants to be a sailor, no marriages for her! Until she meets the first hot guy on the street. Then she keeps following him around with puppy eyes. And when he kicks her, she licks his boots. Really, the dumbest and most irritating heroine ever! All pompous independence declarations she's made in the first half of the book make her groveling in the second half even more disgusting. For crying out loud, she's afraid to even tell him she loves him, because she knows he'll be mad! She asks a question, he tells her to shut up and give him a back rub. So she shuts up and gives him a back rub, and fears she's "pushed him away" with her attempts at conversation. UGH. It is a special thrill as a reader when you are only a few chapters into a book and you know it will be one of your favorite reads of the year. The Whiskey Sea is one of those special books for me. The book begins with a mysterious image of a woman who is in the water and fears drowning. Then the story moves to 1908, when two young girls are orphaned after the sudden death of their mother. They are taken in by a kindly fisherman, and settle into life in a fishing community in New Jersey. The firs It is a special thrill as a reader when you are only a few chapters into a book and you know it will be one of your favorite reads of the year. The Whiskey Sea is one of those special books for me. The first few chapters are leisurely, but the pace picks up dramatically in 1923 when they are young women. The younger sister, Bea, dreams of going off to college and studying literature. The older sister, Frieda, wants to make a good living for her family in her hometown. While she is working as a ship mechanic, she becomes intrigued by the idea of rum running on boats, and takes on this dangerous and risky occupation. As a result she meets a wealthy and enigmatic young man from New York, and her life begins to change. This book is Frieda's story. The storytelling in this book is just so beautiful. I really cared about Frieda, Bea, and their adoptive father, Silver. The characters are so well developed and multi-dimensional. This would be a wonderful movie! I have to mention that Ann Howard Creel also wrote The Magic of Ordinary Days, which was the basis of my all time favorite Hallmark movie. I have it on DVD and have seen it many times. Anyone who loves the book or movie The Magic of Ordinary Days will absolutely adore this book. The descriptions in The Whiskey Sea are vivid and unique. For instance, when Frieda first sees a flotilla of boats running liquor: "A floating liquor establishment out in the middle of the dark ocean, like some kind of magical, mythical circus. It made Frieda think of pirates, mermaids, gods, and sirens of the sea. No one acted the slightest touched with doubt, even with jellyfish, like flowers, floating in the water about the boats and danger from the coast guard boats looming" (pp. 79 - 80). Coming of age historical fiction about rum-running during the Prohibition era in the northeastern United States. When we first meet protagonist Frieda, her mother has died, and she and her sister are taken in by a kindly fisherman. She grows into a young woman determined to build an independent life for herself and take care of her family. She learns to fix engines and challenges the conventional role of women of the day. She is wary of men due to her mother’s past and finds herself in unfamilia Coming of age historical fiction about rum-running during the Prohibition era in the northeastern United States. When we first meet protagonist Frieda, her mother has died, and she and her sister are taken in by a kindly fisherman. She grows into a young woman determined to build an independent life for herself and take care of her family. She learns to fix engines and challenges the conventional role of women of the day. She is wary of men due to her mother’s past and finds herself in unfamiliar territory when she falls in “first love” with a man from a different social background. The author’s writing style is refined and descriptive. I was able to vividly picture life in this small New Jersey coastal town. It is a character-driven novel about a strong-willed young woman, filled with risk-taking, romantic attraction, and, personal growth. I particularly liked the author’s ability to depict struggles with such topics as whether the end justifies the means, the perils of first love, and whom to trust. It occasionally ventures into somewhat maudlin territory, but overall it came across as poignant story of the heaviness of loss, learning from experience, and the ramifications of decisions. I didn’t quite feel transported to the era due to several contemporary figures of speech, but it was close. Recommended to readers that enjoy character-driven stories of personal development. I look forward to reading more from this author. An orphan daughter of the town prostitute, Frieda Hope grew up with a thick skin. Needing to make money to support her sister and adoptive father, Frieda takes a job on a rum-running boat. It's good money, but dangerous. There she meets Charles, a blueblood just looking for a little summer fun. His good looks and charm slowly penetrate the tough walls she has in place around her heart. As the danger of the job escalates, so does the insecurity of Frieda's heart. I listened to the audio version an An orphan daughter of the town prostitute, Frieda Hope grew up with a thick skin. Needing to make money to support her sister and adoptive father, Frieda takes a job on a rum-running boat. It's good money, but dangerous. There she meets Charles, a blueblood just looking for a little summer fun. His good looks and charm slowly penetrate the tough walls she has in place around her heart. As the danger of the job escalates, so does the insecurity of Frieda's heart. I received ARC from netgalley.com. Set during the prohibition era, Frieda and Bea are left orphaned at an early age. Their fathers are unknown and their mother is the town whore. Silver, a kindly fisherman, takes them in and cares for them. As an adult, Frieda goes rum running in an effort to earn money and put Bea through college. I liked the story, showing Frieda able to do what it takes to take care of her family. A solid 3 stars out of 5. I read this book to try a new author. According to reader reviews on Amazon, this author writes very unique historical fiction. I enjoyed the story and the writing style. The characters could have been real people. The emotions were real-to-life. I will seek out this author again in the future. In THE WHISKEY SEA (Lake Union Publishing) by Ann Howard Creel, Frieda’s five and her baby sister, Beatrice, or Bea as they called her, is nearly a year-old when their mother, Della Hope, the town whore dies. Everybody knew of Della and most of the men had relations with her, but no one wants to step up and take care of her little girls. But Silver, one of the local clammers has a change of heart and decides he isn’t going to let either one of those girls go the way of their mother. He’s going to do the right thing for the first time in his life. Once Frieda graduates from high school, Silver expects her to go to secretary school and get married. She refuses both, expecting to take over his fishing business, not knowing he’s sold the boat to Sam Hicks, who Silver has picked out to be Frieda’s husband. Frieda doesn’t receive the news well, wanting to learn a trade and work on the sea. Sam reluctantly teaches her to become a boat engine mechanic. Soon Silver is sick and in need of a nurse and Bea is old enough for college, and a mechanics paycheck doesn’t cover the bills. She finds out there’s lots of money to be made as a rumrunner, speeding into dangerous water transporting illegal liquor and one of the top boats needs a top mechanic. The job is hers if she’s up for the danger of rough seas, possibly being captured, sent to prison or even killed. Well, Frieda doesn’t get killed as a rumrunner, but she meets Charles, a Princeton/Harvard boy who might as well … I’m not going to give the whole story away. This is a romantic story set in the 1920’s and love is love anytime you put two lovers together. I fell in love with Ann Howard Creel’s writing previously in her novel, WHILE YOU WERE MINE, where in 1940s New York City, we met nurse Gwen Mulligan who cared for an abandoned baby for nearly a year, only to have the parents show up and want her back. Ann is able to create the historical time and place so authentically and beautifully that you automatically fall into the era. I’ve come to fully appreciate her talent for writing fully developed characters that are able to do good, but are real and flawed, as well. I've never read a book by Ann Howard Creel, but The Magic of Ordinary Days, the movie based on her book of the same title, is my all time favorite Hallmark movie. I don't want to get too "spoilery" here, but this book, in the sense of relationship dynamics, plays out a lot like TMoOD. The setting was completely different and the time period predates WWII, but it was a pretty good story. I loved that it involved the sea, boats, and Prohibition. That said, Creel isn't one for eewy, gooey romance a I've never read a book by Ann Howard Creel, but The Magic of Ordinary Days, the movie based on her book of the same title, is my all time favorite Hallmark movie. I don't want to get too "spoilery" here, but this book, in the sense of relationship dynamics, plays out a lot like TMoOD. The setting was completely different and the time period predates WWII, but it was a pretty good story. I loved that it involved the sea, boats, and Prohibition. That said, Creel isn't one for eewy, gooey romance at all, but rather the struggles and heartbreak that one faces on the path to love. I'm one of those readers who loves a little over-the-top romance, but this book doesn't have that, and I still loved it. It's really just an underlying theme in a book where the main topics are letting go of bitterness and embracing a steadfast love. I actually liked this a lot more than I thought I would after having read a few spoilers online. If you have enjoyed her books in the past, I'd say you'll probably like this too or if you are new to Creel's books, give this a try! Ugh, this had potential to be a good story. The idea of rum running and prohibition is very interesting, but oh my god, the writing. I am a believer in "show, don't tell" storytelling and all of the EXPLAINING (so. much. explaining.) nearly drove me off a cliff. Outcast girl is raised by kind fatherly man who is no relation. However, when she graduates he suddenly sells the boat she thought would become hers to a man called Hicks. It turns out this is to get the money to send her to secretarial school and beca I think that it was the rum-running aspect of the story that saved this book from being a completely formulaic book, but even with those fun 20s touches, the author was unable to prevent a bit of a shipwreck. The Whiskey Sea isn't a romance, but it is a story about a young woman discovering what love really is. It's Frieda's story, a young woman who seems to be at war with life from even before the time she is orphaned when her mother, who had been making a living by selling herself, dies because of her lifestyle. Frieda is tough, used to guarding herself against the cruelty of her classmates & the rest of society, and fiercely determined that her angelic little sister Bea will have all the best The Whiskey Sea isn't a romance, but it is a story about a young woman discovering what love really is. It's Frieda's story, a young woman who seems to be at war with life from even before the time she is orphaned when her mother, who had been making a living by selling herself, dies because of her lifestyle. Frieda is tough, used to guarding herself against the cruelty of her classmates & the rest of society, and fiercely determined that her angelic little sister Bea will have all the best life has to offer. She is given a chance at a better life when Silver, a kind man who never frequented her mother's business, takes the girls in & fathers them with love & kindness. The bulk of the story shows whether or not Frieda, who at times jumps from one bad decision to another, ever releases her bitterness & learns to value ordinary, everyday, unexciting kindness & love. For a time she is transformed by a relationship, but it is an unhealthy one & does not inspire good changes within her. I grew frustrated waiting for Freda to come to her senses & reject the man who did not value her. But I couldn't help but think that in "real life" many adults never break away from destructive relationships or purge themselves of the poison of bitterness. I think too many folks in the world pine their lives away longing for people & things that are not real & ignoring the very ones God has put in their pathway who might make their lives truly worth living. So I guess Frieda discovered truths about life way before many others do. I loved Ann Howard Creel's book (and movie) The Magic of Ordinary Days & will definitely read her story While You Were Mine, which is also on Kindle Unlimited. The Audible narrator, Angela Dawe, is one that I will look for again. 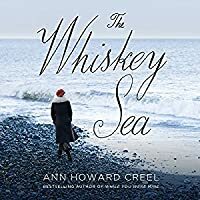 The Whiskey Sea marks my first experience with author Ann Howard Creel. The premise captured my attention as I’ve not read a lot of Prohibition era literature and saw a degree of promise in the idea of a woman engaging in the transport illegal liquor. Generally speaking, I feel that Creel capitalized on a lot of that promise. Frieda Hope is a thought-provoking protagonist and I liked the authenticity shown in her relationships with Silver and Bea. She’s intensely relatable and I liked how easy it was to understand the world as she saw it. I was also impressed with the tangible tension Creel created in the final chapters and I liked how those scene made me realize how invested I’d become in the narrative. That said, I struggled with the pacing and tone of the story. The action was very drawn out and I didn’t feel the content necessitated the extended timeline. Frieda’s tendency to reflect on the morality of her activities as well as her love life allowed a lot of insight to her character, but after a while I found myself wishing Creel hadn’t wasted quite so much ink beating round the bush. This is the second book I read from Ann Howard Creel this year, and I loved both books giving them both five stars ( the other book was While You Were Mine) which was excellent IMO as well. The book was fast paced and exciting. There was romance that wasn't all cheesy and cute; it was kind of a sad romance, but fun to read. Also the author gives readers an Education on prohibition era, rum runners, and coastal fishing life in the 1920's. I liked it but it wasn't quite what I thought it would be. I thought there would be more about prohibition and rum running but the historical context took a back seat to Freida and her internal conflict. It was more the story of a young woman struggling with adult responsibilities and trying to find both herself and her place in the world. I was a little disappointed because I wanted the rum running to be a bigger part of the story. Beautiful story that makes you ask yourself,"What would I have done?" I loved every minute of Frieda's journey. This is more than a love story, but the love element did move me. I also appreciated the historical accuracy and the illumination of life in seashore towns during Prohibition. Highly recommended. This was a coming of age romance with a sprinkling of the prohibition era and life among the rum-runners. I enjoyed the segments on what I learned about the rum-runners and will look for non-fiction works on the subject. 3 stars. Meh....pretty standard historical fiction. Nuff said. This captivating story takes place during the Prohibition and although it emits a chick lit undercurrent, there is plenty of action to be found. Think of damp costal shores, clamming, rum-running, speakeasies and the dangers of navigating inky waters to escape the Coast Guard. The pages are brimming with vivid descriptions and overall the characters are complex and well developed. An absorbing read fully worthy of 4.5 stars. The Whiskey Sea is historically detailed, has the feel of an adventure, and features a good love story too. I learned a lot about what went on during Prohibition and the climactic chase scene is one of the best edge of your seat scenes I've read in a long long time. I loved these characters! Tell your friends to buy this book. I was very impressed with the storytelling ability of the author. Every paragraph pulled you in further. Character development is very rich. Have you ever experienced a this-cannot-be-happening-to-me moment? In her novels, Ann Howard Creel puts her characters in that position. Strong female characters face unforeseen obstacles and then have to make life-changing decisions. In her new novel, THE RIVER WIDOW, a former tarot-card reader turned widow and stepmother must escape the clutches of an evil family while also facing the crime she Have you ever experienced a this-cannot-be-happening-to-me moment? In her novels, Ann Howard Creel puts her characters in that position. Strong female characters face unforeseen obstacles and then have to make life-changing decisions. In her new novel, THE RIVER WIDOW, a former tarot-card reader turned widow and stepmother must escape the clutches of an evil family while also facing the crime she herself has committed. When asked where she gets her ideas, Ann answers, “From history.” She doesn’t know when the muse will strike, but often while she’s reading about history, an image forms in her mind. The spark for THE RIVER WIDOW came while learning about The Great Flood of 1937 along the Ohio River. When Ann’s first book was published, she experienced a this-cannot-be-happening-to-me moment in a very good way. Besides writing, her other interests include old houses, new yoga routines, red wine, and all things cat. She currently lives in Paris, Kentucky. For book clubs, Ann will visit you via Skype. Contact her through her website: www.annhowardcreel.com.